"....I had been trying to put on healthy weight all through college without any success"
Overall my time at Crossfit iron hammer has been amazing. I have improved in every aspect of lifting. I am now able to do many Olympic movements that prior to joining this gym I had no knowledge of. 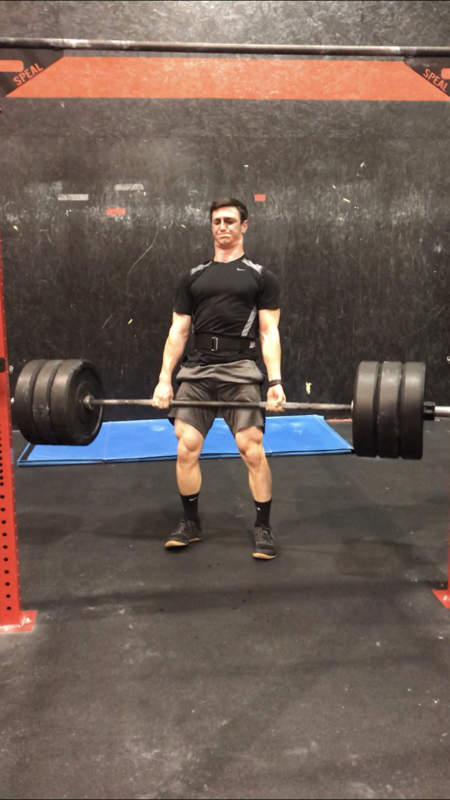 I also have increased PRs in movements that I did know (bench, squat, and push press) and am still slowly increasing in weight I am able to lift in the new Olympic lifts that I have learned throughout my time here. I believe that the reason these changes have happened is due to the incredible coaching this gym offers. In addition I have also maintained if not increased in endurance since joining this gym. Prior to joining the gym I was a runner more than a lifter and I was worried that Crossfit would take away from my endurance but this was not at all the case due to the lack of running, however I was definitely wrong. I recently ran a 5k and placed 30th overall (out of about 750) with a time of 22:47, not a personal best but am incredible time taking into account that I haven’t ran at all except if it is in a metcon. But aside from the lifting aspect of this gym, I have also made many friends through the workouts and gym outings who I would have never met otherwise. The community aspect of this gym is another one of the many reasons that I will continue to go to this gym over any other. Lastly, when I joined this gym I weighed about 165-170 and I wanted to gain weight. This week I weighed in on the scale at the gym at 185 pounds. This is something that I am very proud of because I had been trying to put on healthy weight all through college without any success. 3 months in attending this gym I have achieved my goal. Overall, I would recommend this gym to anyone one looking to try out Crossfit or even just get a good workout.